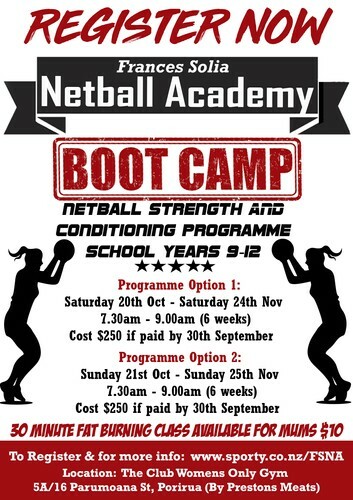 Netball Off-Season Strength and Conditioning Programme. Instructors Julia McHale and Samantha Martin. Early Bird Cost $250.00 per athlete Register and pay by 30 September 2018. Registrations received after the 30th September $275.00.